Find places to stay in Calhoun, GA and other fun things to do. View our list of attractions, activities, events, restaurants and visitor information. 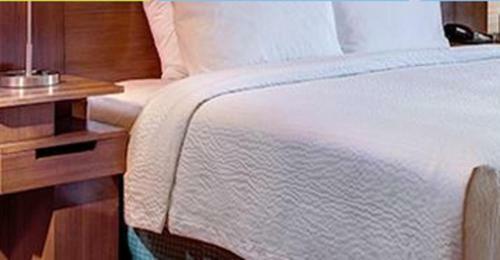 Our guests are within minutes of area recreation and shopping at America's Best Inn - Calhoun where free Wi-Fi an outdoor pool and daily continental breakfast service await. Free Internet,Outdoor Pool, Pets Allowed. Complimentary breakfast proximity to shopping and well-stocked rooms keep our guests happy at the Holiday Inn Express Hotel & Suites Calhoun. Free Internet,Outdoor Pool, Free Breakfast, Non Smoking Rooms. Offering free WiFi Budget Inn is set in Calhoun. All rooms boast a flat-screen TV with satellite channels and a private bathroom. The accommodation features a 24-hour front desk.At the motel rooms have a desk. Guest rooms include a wardrobe. Non Smoking Rooms. Free breakfast an indoor pool and in-room mini-fridges/microwaves win high marks from our guests for the top-rated non-smoking Country Inn & Suites By Carlson in Calhoun. Free Internet, Indoor Pool, Restaurant, Non Smoking Rooms. Welcoming our guests with free morning coffee and comfy accommodations Duffy's Motel North Calhoun also has an off-interstate location and 24-hour front desk. Duffy's Motel North Calhoun houses 40 rooms along two stories and exterior corridors. Free Internet, Pets Allowed. Free Wi-Fi and free parking add to the value for our geusts at the non-smoking Econo Lodge Calhoun. All 100 rooms at the low-rise Econo Lodge Calhoun include coffeemakers premium cable TV (HBO included) mini-fridges and free Wi-Fi. Free Internet,Outdoor Pool, Restaurant, Pets Allowed, Non Smoking Rooms. Surf free Wi-Fi and start your day with a free breakfast at the non-smoking Fairfield Inn and Suites by Marriott Calhoun which offers an indoor pool and is located right off the freeway. Free Internet, Swimming Pool, Indoor Pool, Free Breakfast, Non Smoking Rooms. The heated pool free Wi-Fi and breakfast and I-75 setting are a few reasons to celebrate a stay at the non-smoking Holiday Inn Express Calhoun South. At this four-story Holiday Inn 83 rooms include mini-fridges microwaves tea/coffeemakers free Wi-Fi and flat-panel TVs. Indoor Pool. Expect in-room microwaves and mini-fridges free breakfast and a sweet location close to the outlet shops at the non-smoking La Quinta Inn Calhoun. Free Internet, Swimming Pool,Outdoor Pool, Free Breakfast, Pets Allowed, Non Smoking Rooms. Motel 6 Calhoun is 2.3 km from Calhoun Premium Outlets and 10.5 km from New Echota Historic Site. Free WiFi is also available.A cable TV and a private bathroom are standard in every room at Motel 6 Calhoun. A microwave and refrigerator are provided in select rooms. Free Internet, Pets Allowed, Non Smoking Rooms. Currently as low as $57.60/night! 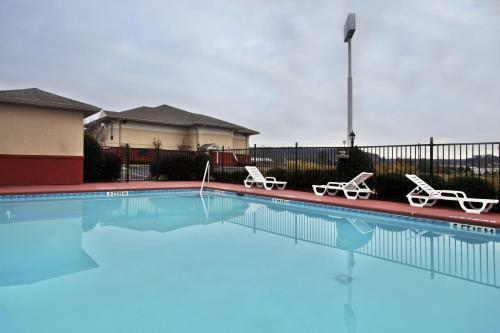 Free breakfast and Wi-Fi plus an outdoor pool and an I-75 setting are a few of the highlights at the Quality Inn. The two-story Quality Inn hosts 45 rooms with coffeemakers mini-fridges microwaves flat-panel TVs free Wi-Fi and hairdryers. Free Internet,Outdoor Pool, Pets Allowed, Non Smoking Rooms. Free breakfast an outdoor pool and complimentary Wi-Fi are the perks guests find at the Baymont Inn and Suites Calhoun. The two-story exterior-corridor hotel offers 59 units decked out with cable TV hairdryers work desks and Wi-Fi. Free Internet,Outdoor Pool, Free Breakfast, Pets Allowed, Non Smoking Rooms. 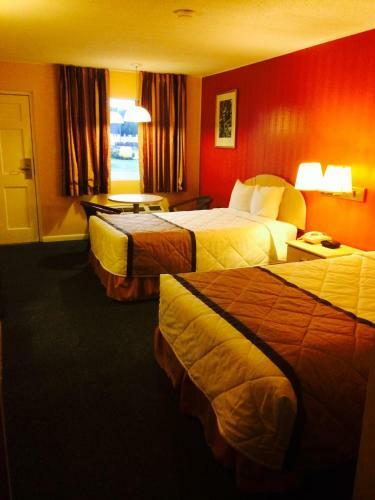 Complimentary Wi-Fi and easy access to I-75 add to the charm for our guests at the Rodeway Inn Calhoun. Microwaves coffeemakers free Wi-Fi and cable TV are provided in all 32 rooms at the two-story hotel; some rooms also have mini-fridges. Free Internet, Pets Allowed, Non Smoking Rooms. Royal Inn provides our guests with free Wi-Fi and in-room microwaves and mini-fridges near Calhoun's shopping and attractions. The two-story Royal Inn has 16 rooms accessed via exterior corridors. Free Internet, Non Smoking Rooms. A location right on the interstate and free Wi-Fi a microwave and refrigerator in each room are the top draws at the Scottish Inns Calhoun. The two-story hotel has 35 air-conditioned rooms all with cable TVs free Wi-Fi access microwaves and refrigerators. Free Internet, Pets Allowed, Non Smoking Rooms. 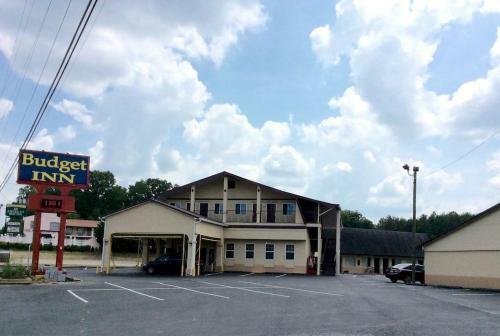 The Smith Motel is located off I-75 near the New Echota State Historic Site and offers our guests free Wi-Fi in-room microwaves and mini-fridges and fax and copy services. The two-story Smith Motel has 40 rooms along exterior corridors. Free Internet, Pets Allowed. Cozy accommodations and a convenient location are just a few of the perks that have our guests giving a big thumbs-up to the Super 8 Calhoun. 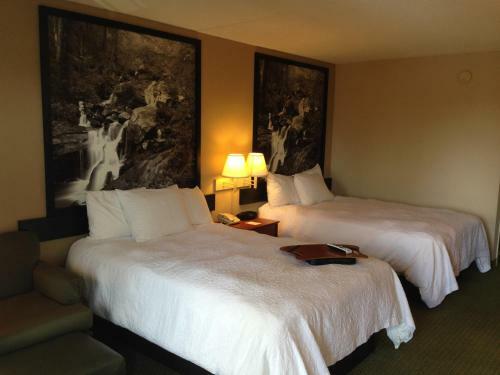 All 59 rooms at the two-story Super 8 feature coffeemakers flat-panel cable TVs separate seating areas and work desks. Free Internet,Outdoor Pool, Free Breakfast, Pets Allowed, Non Smoking Rooms.